Jennifer Provencher, a postdoctoral researcher at Acadia University who studies the ingestion of plastic pollution by wildlife, said Britain's ban is "an incredibly important step towards minimizing and using plastics more responsibly." She noted that single-use plastic items like straws and stir sticks are generally used only for a few minutes before they're discarded, but can persist in the environment for centuries because plastics don't typically decompose within a human lifetime. 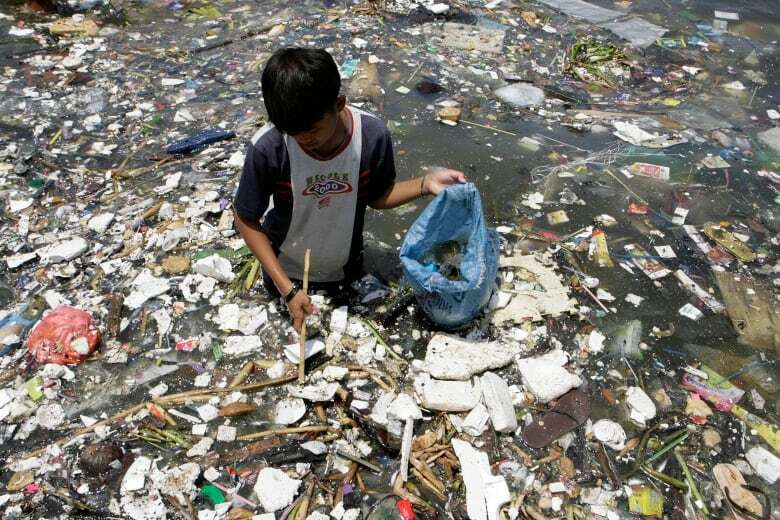 Scientists estimate we've made 8.3 billion tonnes of plastic since the 1950s and 6.3 billion tonnes have already become waste. More than 330,000 pieces of plastic and foam waste were picked off 2,800 kilometres of Canada's shoreline by volunteers during beach cleanup events last year, including 17,654 straws — the ninth most common item found during cleanups supported by Ocean Wise and WWF-Canada. Worldwide, 409,087 straws and stirrers were picked up in beach cleanups around the world in 2017, the Ocean Conservancy reports. There, they can cause serious injuries to animals, as shown in a 2015 video that shows a straw being pulled out of a sea turtle's nostril — the graphic, viral video has been viewed more than 21 million times. Sarah King, head of the oceans and plastics campaign at Greenpeace Canada, says that video was a "turning point" that brought straws to people's attention. "Using straws basically has become a habit — you go into a restaurant, you're automatically given one," she said. "But I think a lot of people have started to question 'Do most people really need to be using these straws? Is this one single-use product that we can avoid?'" She added that straws are a good jumping off point for discussing the need for single-use plastic products in general and what alternatives exist, such as compostable plastic or paper straws or reusable ones made of glass, metal or silicone. 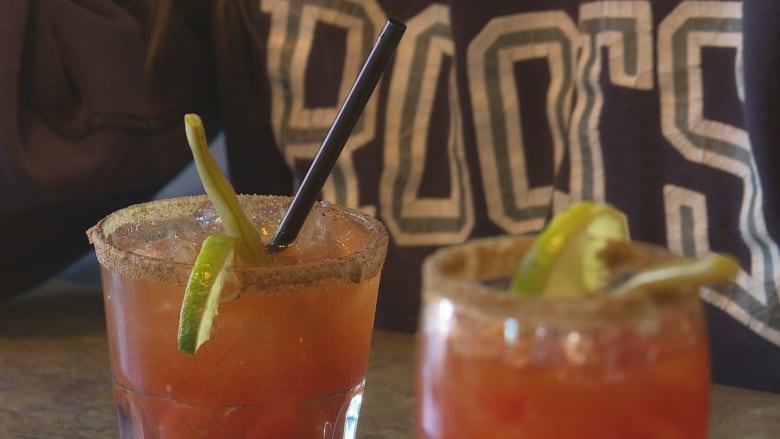 In Canada, more and more Canadian consumers, businesses and institutions are announcing their own voluntary restrictions on disposable straws, including many bars in Toronto, restaurants in Prince Edward Island and the University of Guelph. In Toronto, The Last Straw campaign has signed up more than 125 restaurants and bars to voluntarily avoid offering straws on Saturday, the day before Earth Day. Provencher says those are important ways to communicate to industry and businesses that people want to contribute to good solutions. It's a way "every single one of us can do something about [plastic pollution] every single day.… Through voluntary bans, you can get people onside much more quickly and they can exercise those decisions through their purchasing power." "But," she said, "it's very difficult to reach everybody." That means government bans and regulations also have an important role to play. Provencher said that's one way to drive innovation toward new solutions. Greenpeace's King says government bans and regulations are also valuable because they create a level playing field — otherwise, businesses that voluntarily do the right thing may be at a disadvantage. Currently, alternatives to plastic straws, such as paper straws, are far more expensive. Prime Minister Justin Trudeau has so far stopped short of saying whether Canada is considering a straw ban similar to Britain's proposal. 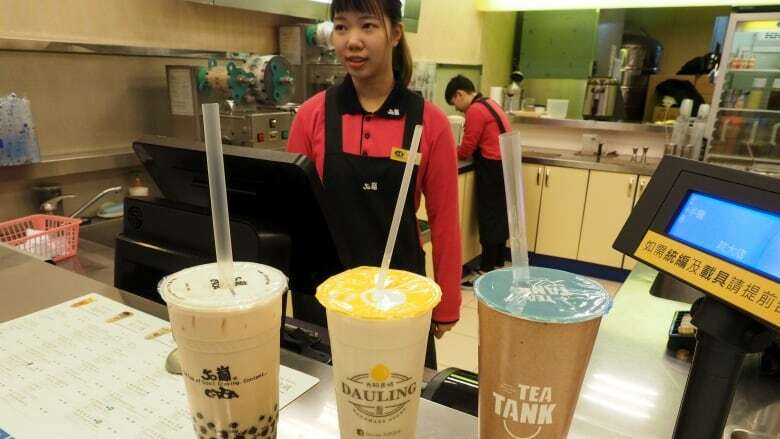 Scotland and Taiwan both announced their own straw bans earlier this year. When asked about straws at a news conference on Thursday, Trudeau said looking at plastics in the ocean is one of the key theme's of Canada's G7 presidency. He added that solutions will be discussed when Canada hosts the G7 summit later this year. Those who study plastic pollution and solutions to tackle it say that discussion needs to go beyond straw bans in order to make a real difference. Rob Opsomer leads an initiative at the U.K.-based Ellen MacArthur Foundation that aims to find ways to reduce, reuse and recycle all plastic so it never becomes waste — a concept known as the circular economy that the foundation advocates for. He notes that while banning straws is a logical place to start, 300 million tonnes of plastic are produced each year, and very little of that is straws. "Given they are such a tiny fraction of the overall market, we cannot stop at straws," he said. "We need to rethink the entire plastics industry." Opsomer said while a ban may be an option for straws, which are rarely essential, it isn't for many of the other plastics in our lives that we use to build cars and electronics, package food and deliver modern medicine: "It's hard to imagine a world where we ban all the plastics from all the uses we use today." In those cases, broader, systemic changes are needed to make plastic products more easily reused, recycled or safely decomposed so they don't pollute the environment, he said. Opsomer added that "with something as drastic as a ban, there may be be unintended consequences." That's something advocates for the disabled have been trying to head off — Vancouver considered a ban on straws, but decided against an outright ban after hearing from people with disabilities that they rely on disposable plastic straws to drink. Instead, it's encouraging servers to ask customers whether they'd like a straw instead of automatically putting straws in all drinks. Britain is proposing an exemption for medical uses of straws. 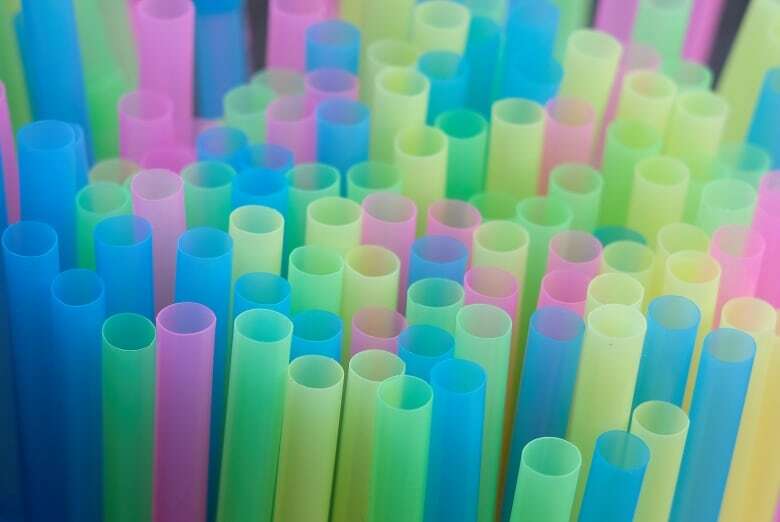 On the flip side, Provencher says we also need to measure whether policies like straw bans are having their intended consequences and reducing plastics pollution in places like the ocean: "What's really important is to make sure that we have monitoring and research that actually measures the effectiveness of those policies."